Guardian Self Storage's service consists of us providing a safe and secure location for your cherished belongings. Be confident when storing your items with us. 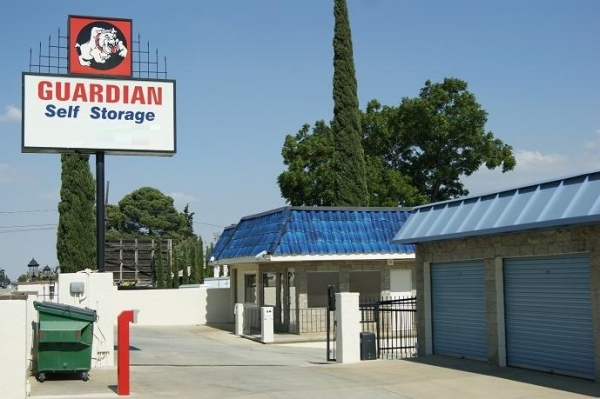 Guardian Self Storage provides a variety of storage solutions for individuals and businesses. Please note: A 2-mo minimum commitment is required for 10x20's and above when reserving on Sparefoot. Thank you so much, Eric. We always appreciate the feedback. and the kind words! Thanks again. I was very happy with the service and cleanliness of the facility. The leasing process was painless and quick. Jacqueline was very nice. Moving is a pain in the neck - the atmosphere at Guardian Self Storage made it much less unpleasant. Thanks for the easy process!! thank you very much for taking the time to review our facility! it means a lot to us! this place is very nice. for the price. I am a return customer and have always had a pleasant experience here. I'm just storing holiday decorations now, but have previously stored old baby clothes and furniture, etc. Never had a problem. Plus, the prices are really reasonable.